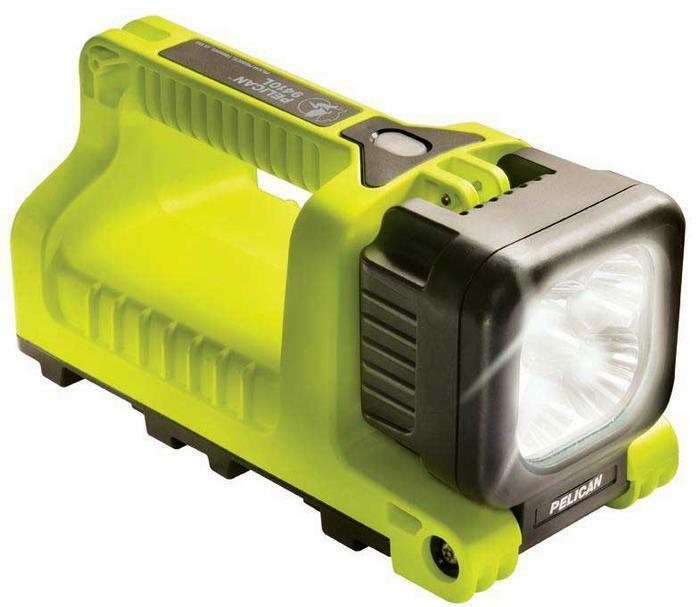 Pelican Products of Torrance, Calif. is recalling about 4,600 Pelican flashlights and 168 replacement battery packs in the U.S. and Canada. The battery packs in the flashlights can overheat, posing a fire hazard to consumers. The company has received two reports of overheating battery packs. No injuries have been reported. This recall involves Pelican 9410L flashlights equipped with lithium ion battery packs and replacement battery packs. The flashlights are yellow and black. “Pelican 9410L” is printed on the front of the flashlights and on the top of the handle. The recalled flashlights have manufacturer part number 9410-021-245 or 9410-021-110 printed on the packaging. The manufacturer part number for the recalled battery pack is 9413-301-001 and is printed on a label on the battery’s shrink wrap. Only battery packs that contain green shrink wrapped cells are included in the recall. The flashlights and battery packs, manufactured in the U.S. and China, were sold at sports and specialty stores nationwide, online at Amazon.com and other industrial supply dealers or distributors from May 2014, through January 2016, for between $240 to $280 for the flashlights and between $50 and $70 for the replacement battery packs. Consumers may contact Pelican Products toll-free at 877-619-0289 or 310-257-5691 from 8 a.m. to 5 p.m. (PT) Monday through Friday, by email at 9410L@pelican.com or online at www.pelican.com and click on “Recall Information” at the bottom of the page for more information.